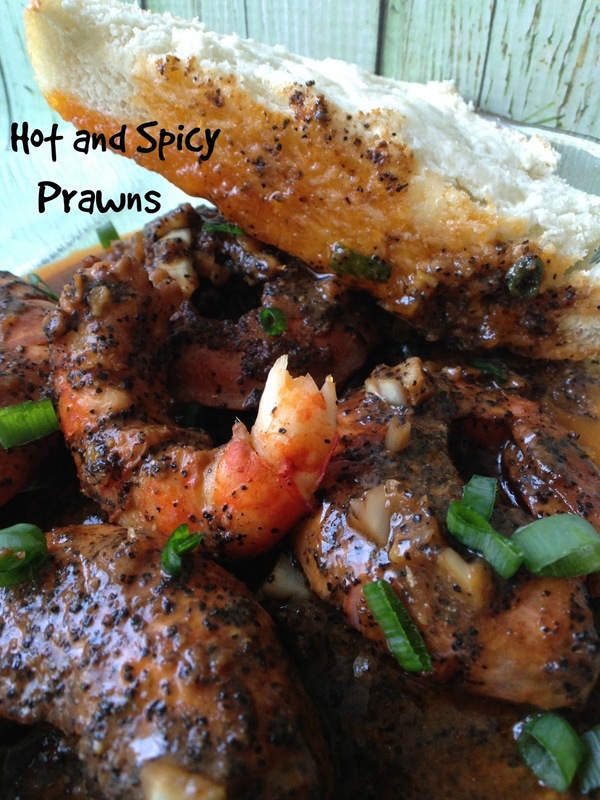 I first made these delicious hot and spicy prawns about 10 years ago. I found the recipe in a Paula Deen magazine and knew my family would love prawns made this way. We added an extra 2 tablespoons hot sauce but other than that, the recipe is as written. 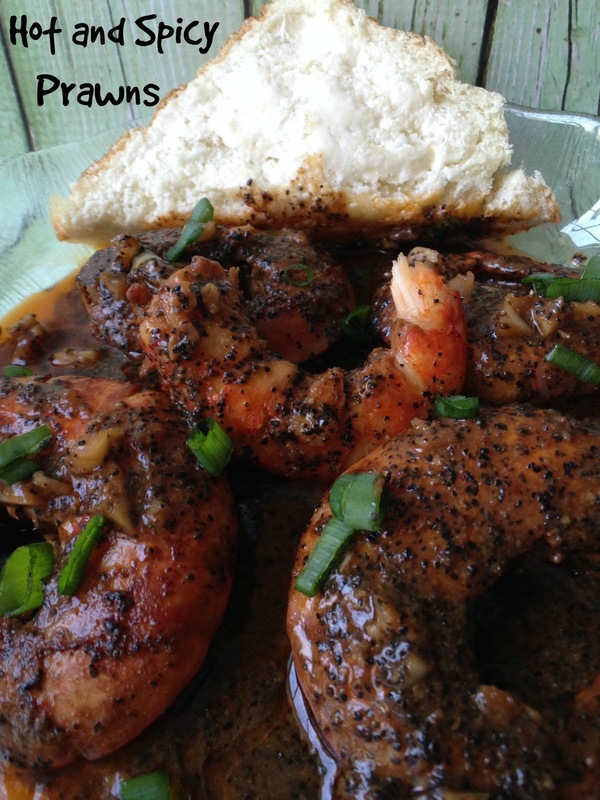 I’ve made several of Paula Deen recipes over the years from her many cookbooks and magazine. 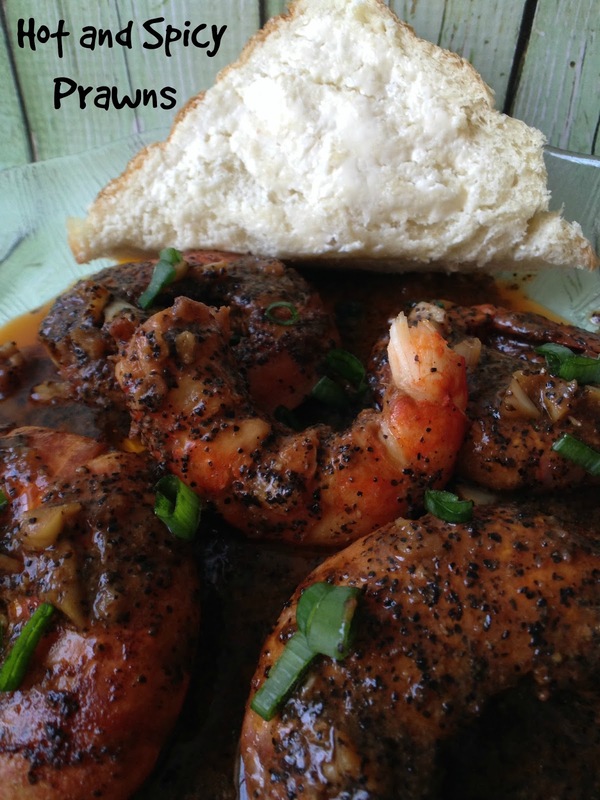 They have all turned out exceptionally delicious but this recipe is by far our favorite. Shrimp generally live in salt water, have claws on two of their legs and are smaller than prawns. Prawns are usually harvested from freshwater, can be quite large, have claws on three of their legs and are slightly sweeter and more expensive than shrimp. 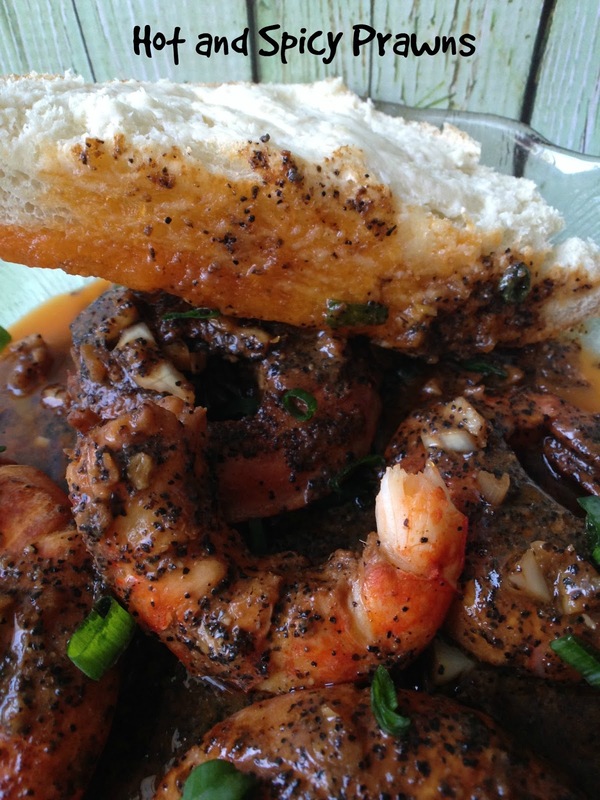 Where are live both shrimp and prawns are readily available a most larger grocery stores. Since I don’t make this recipe often, usually for “special” occasions, I like to splurge and but the big prawns. You can serve hot and spicy prawns as an appetizer, first course or with crusty bread and a tossed salad for a light dinner. Stir together the butter, Worcestershire sauce, lemon juice, pepper, hot sauce, garlic and salt. Pour half this mixture into a large heatproof baking dish. Layer half the prawns or shrimp and half the lemon slices in the dish; form a second layer with the remaining shrimp and lemon slices, pour the remaining sauce into the dish. 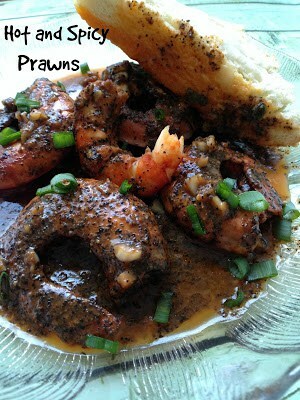 Bake, uncovered, for 20 minutes or until the prawns or shrimp are pink, stirring twice. Pour off the sauce into individual serving dishes and serve with French bread, optional.